"We're all on a scavenger hunt for AC," said one North Hollywood resident. With extreme temperatures racking Los Angeles, North Hollywood resident Ada Flores says she hasn't slept well for three weeks. Then, at 1:00 p.m. Tuesday, her fan gave out. So, Flores set out to get an air conditioner – but it wouldn't be an easy search. She soon found that this summer's relentless heat has left many Los Angeles stores sold out of air conditioners. Even many online stores are out of stock. "Everybody's looking for one," Flores said. "We're all on a scavenger hunt for AC." Carson residents Michelle Harrison and Lalonie Williams searched across four different cities looking for an air conditioner. Flores eventually settled for buying a new fan. DIY Home Centers in Burbank stocked up ahead of time and is one of the few stores in Los Angeles that still has air conditioning units. This week, they're selling more than six times as many AC units as usual. People looking to buy air conditioners should call ahead of time to make sure that the store they're going to has AC units in stock. 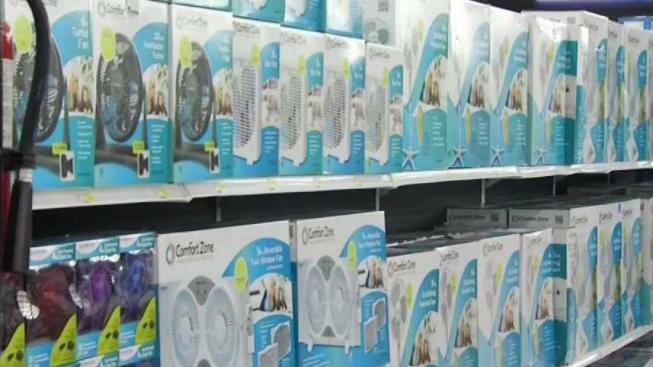 Those who live in areas with an AC shortage can buy from an online store that hasn't sold out and have an air conditioner shipped right to their house.